so it's been a while since i've had any midori (drink), but that doesn't mean that i can't enjoy this kind of midori! 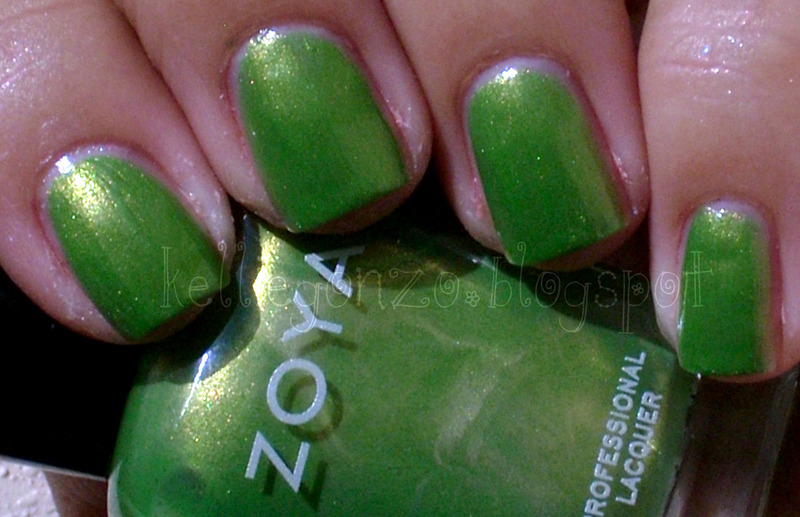 zoya midori to be more specific. i love green, any kind of green. and this is a unique one, a bright green apple that reminds me of the kind of color you would find in a magic marker case. 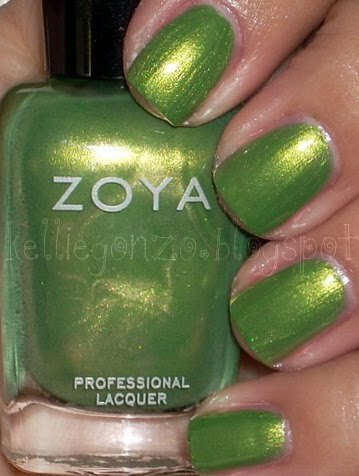 soo pretty and it has that familiar zoya gold sparkle in it!